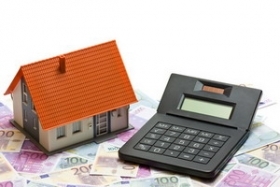 One-time tax for buying a real estate in Bulgaria is about 5 - 7%. For comparison, we below are given examples of this type of a tax in other countries. - 0.2% - fee for garbage disposal (per year). If you are the owner of an apartment in a complex with a developed infrastructure, you will be charged a fee for the maintenance of the complex - for the building and surrounding areas. As a rule, it is from 7 to 12 euros per m2 per year. Payment of used electricity and water is due to the counters in your apartment.